By some small miracle, one of the cutoffs in the brass tubing heap was exactly the right diameter and length, needing only a cap. 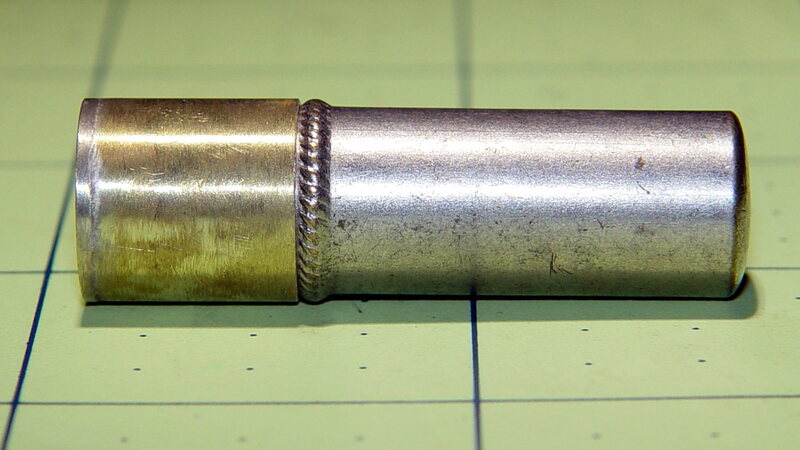 That’s just before the last few passes bringing the shimstock and solder fillet down to the tube OD, which sat nicely concentric in the collet. The carbide insert worked surprisingly well and produced shavings resembling stringy dust. 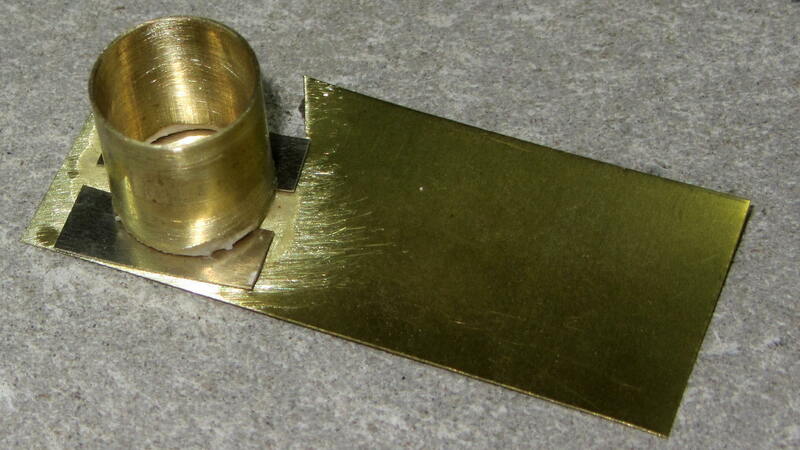 The collet drawbar, a.k.a. 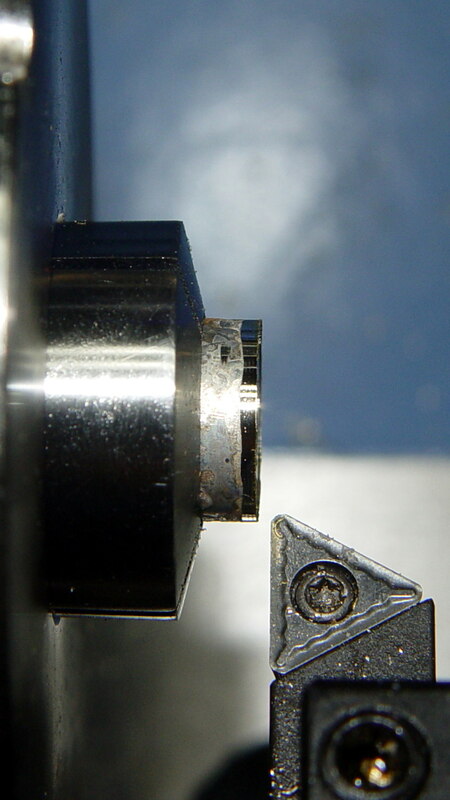 a hardened 3/8-15 bolt and washer, requires a distressing amount of effort to clamp the collet around the workpiece. I think it wants a Delrin / UHMW washer or some such to reduce the friction; a full-on thrust bearing seems uncalled for. This entry was posted on 2016-08-04, 07:49 and is filed under Machine Shop. You can follow any responses to this entry through RSS 2.0. Both comments and pings are currently closed. 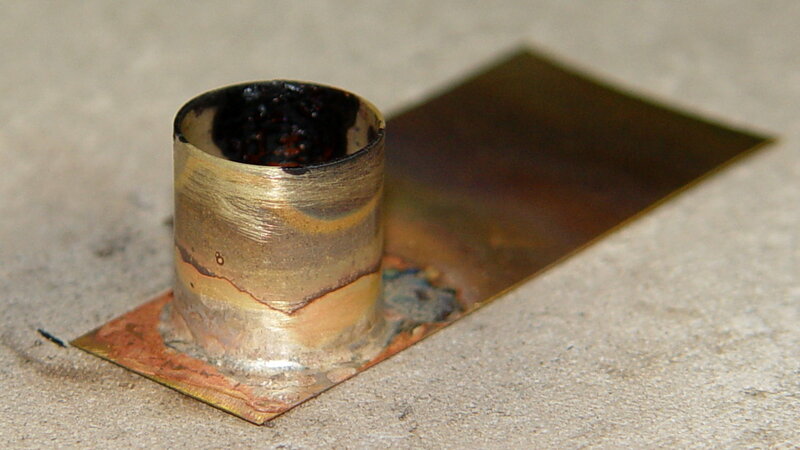 Are you worried about turning lead? AFAICT, it’s alloyed with copper & suchlike, so it doesn’t pose much of a hazard despite the ubiquitous California warning. Wash your hands afterward and you’ll be all good.